Make an elegant statement with these unique Glitter Rose Tapers. Simply exquisite in any decor or as a gift for someone special. Made of pure beeswax in your choice of natural or hand-dyed colors, adorned with your choice of silver or gold wax paint & glitter edging. Handmade to order, no two candles look exactly the same. 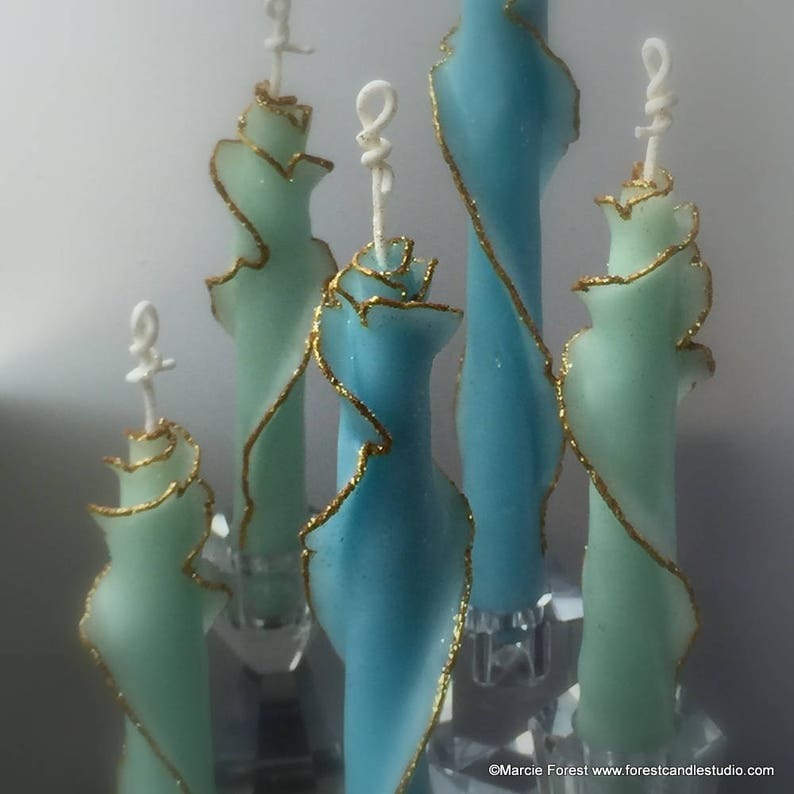 This listing is for your choice of one set of 3 or 4 Glitter Rose Tapers, approx 10" tall. Photos show examples in assorted colors and sizes from previous orders. Yours will be handmade to order in 10" height, in the colors & quantity of your choice. Please note: I hand-dye the beeswax in small batches, color shades vary slightly each time. • SIZE: approx 10" x 7/8"
In my signature packaging: depending on number of tapers ordered - kozo hemp lace paper or a white gift box, tied with tulle ribbon. A Forest Candle Studio mini note card is enclosed (candle info & burning instructions are on the back). See the "Shipping & Policies" tab for PAYMENT & CURRENT ESTIMATED SHIP DATE for this item, and my general SHOP POLICIES.